Every Fall there are so many new shows to sift through that it's almost impossible to keep up with everything. While what not to watch can be painfully obvious (does anyone think that Supergirl actually looks good?) it can be a little difficult to figure out what has true potential. 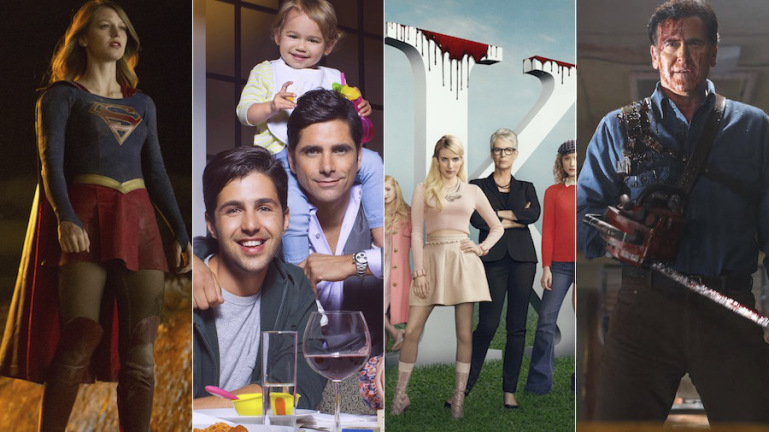 We here at WIGS wanted to make things a little easier on you and roundup some new Fall TV shows that look like winners. This is probably the show I've been most excited about ever since it was announced due to being a big kid myself. I just love me some Muppets. My junior year of college I got the old Muppets TV show and chuckled my way through every season. This is a show that our society needs. It's something that provides both cultural relevance as well as family-friendly comedy in a time where everything is so crass. I hope that this is the beginning of a many year run for Henson's favorite creations. After MTV's Scream you'd think I'd be a little less optimistic about this one, but actually it's made me like it even more. Scream ended up being generic and uninspired while everything that's been released from Scream Queens has been unique and quirky. That's not to say that guarantees it'll work but I'm optimistic after seeing how a slasher TV series is possible even with so many weak elements. Just have to hope that Ryan Murphy delivers everything promised in the long lead-up to the premiere (I feel like I've been waiting for this series for forever). Either way, we get to see some Disney stars die so it's got that going for it at least. A new FX show from Sons of Anarchy creator Kurt Sutter? That's pretty much all I need to sign me up but add to it that it's set in medieval times and we're store for the most intriguing drama of the Fall. I'm expecting more beheadings during its runtime than we've ever seen in Game of Thrones which is a pretty high benchmark. I'm sure it'll pass with flying colors. This is the one that I think will blow up in my face the most. Jaime Alexander is a fine actress and the premise of a girl with amnesia having a bunch of fresh tattoos covering body and unknown combat training is intriguing but it's also NBC. Network drama's struggle to really gain any footing because they're too busy fighting against problems that aren't even relevant on Cable and Streaming services such as keeping viewers through the commercial break and introducing it to new viewers on an episode to episode basis, forcing an entry point even in a long term show, leaving too much recycled content. Still, like The Blacklist proved two years ago, a good premise is a good premise. If you haven't seen Heroes then I'd highly recommend checking out the first season. Just make sure you stop there. See, there's a lot of good when it comes to Heroes but it quickly gets convoluted and messy. Reborn is looking to change that by giving us a concise ten-episode mini-series. I couldn't be more excited about it because Heroes came out during the times of the 20+ episode seasons, which is far too much for a drama. Having something smaller and more compact should give a better product overall. And it seems as though TV CGI has finally caught up and so Heroes should really be able to look great, without breaking bank on production costs. As someone who's been waiting for Evil Dead 4 for years, I can't believe we're getting something even better than that thanks to Starz. This still feels like a dream but I will happily stay asleep to make it stay true. As evidenced by USA's Burn Notice Bruce Campbell is perfect for TV where he can build a relationship with the viewer and easily become the big highlight, now taking a lead part in the role he was always meant to play. I can only imagine what we're in for this Halloween. After Daredevil's success, Marvel really has free reign with their Netflix shows. Krysten Ritter hasn't had the right role in quite some time, so I look forward to seeing her take control and add to Marvel's growing list of strong female characters. It appears they'll be taking more of an Alias approach to it, which I like because I think that it needs to be drastically different from what they've already offered us with The Masked Man. Either way, this will be Netflix/Marvel's real test before the next season of Daredevil arrives in the spring. I don't really know much about this show other than the fact that it comes from Aziz Ansari (Parks and Recreation) and that is loosely follows his life. So he'll be a young comedian in New York and going through the rollercoaster of dating. As generic as it sounds, I have faith in Aziz being able to give us an insightful and funny show. And with the added bonus of being on Netflix, I'm sure it'll be able to really stand out without Network constraints. 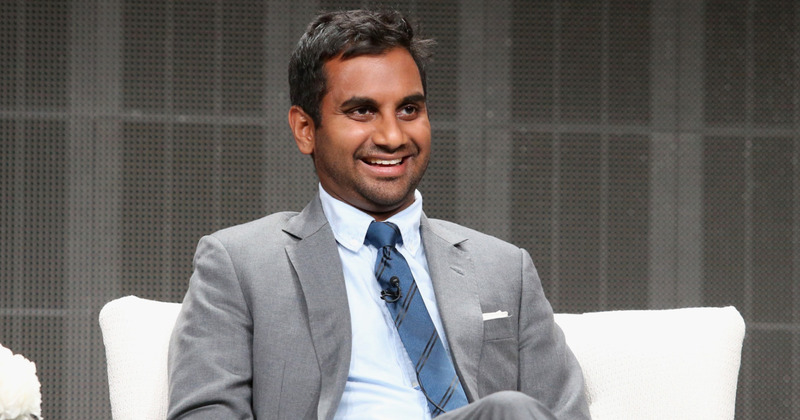 Unfortunately there's still no footage so this is really going off of Aziz's talent as a standup, writer and improv-er. I hope that this helps you cut down on the onslaught of television shows trying to grab your attention this Fall. If I didn't mention it here, I probably just didn't think it looked as good or it was a returning show and therefore didn't fit in with the subject. It should be a good year for Television but if the last few years have taught me anything, it's to have loooooooow expectations.